It’s mid-afternoon, and you feel a little hole in your stomach. You want to eat something satisfying and tasty, yet don’t want to ruin your dinner–this is where pane cunzato, or seasoned bread, comes in. 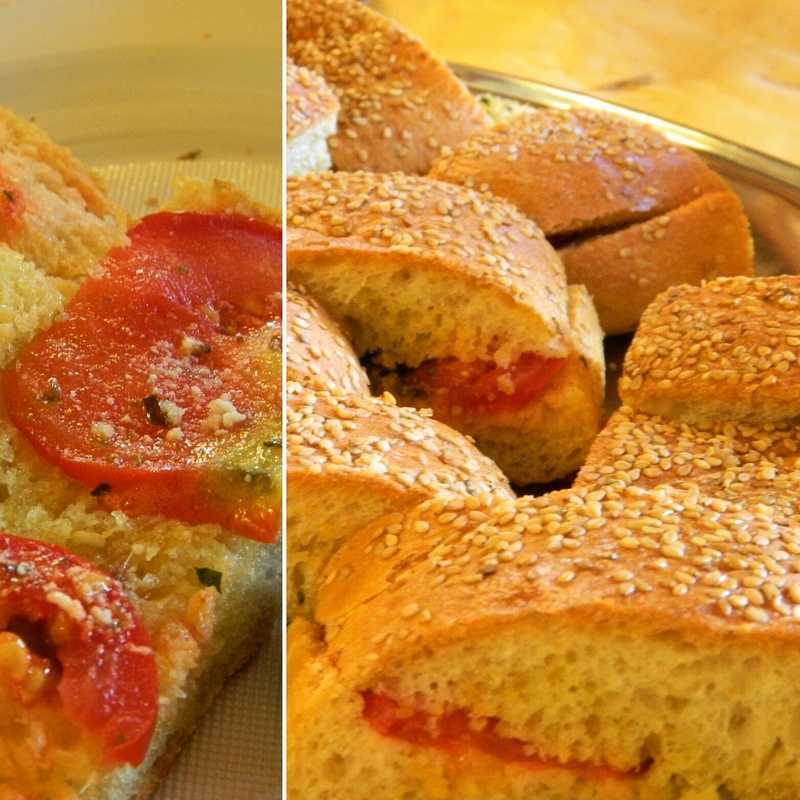 Depending on who makes it, the recipe varies, but essentially, pane cunzato (like the one pictured, from northwestern Sicily) is fresh bread sliced down the middle, drizzled with olive oil, dusted with oregano, and adorned with fresh tomato (or in winter, sun-dried tomato), and often topped with anchovy fillets (according to your taste, of course!) and/or a hard sheep’s cheese and/or olive slices and/or … well, there is really no exact recipe. Importantly, the olive oil, oregano and tomato, tend to be the common denominator, along with salt and pepper. Then close it up to make a sandwich. I’ll warn you ahead of time–don’t get into an argument about your ingredients versus someone else’s, because everyone has a different concept, and you want to keep talking to your Sicilian friend! So, now you know what this wonderful Sicilian “moment” can offer you. Try pane cunzato at home today! I think you’ll like it.